Newport - Industrial Abseiling, Industrial Rope Access - Parklane Abseiling Ltd.
Park Lane Abseiling Ltd. can help you access difficult to reach work sites in almost any environment from high-rise buildings, lighting towers and bridges to refineries, factories and warehouses. We are experienced tradesmen who are also rope access trained. Unlike traditional access methods such as scaffolding, towers and cherry-pickers, there is no visual impact, no security risk, no permissions required and no blocked pavements. The noise and visual pollution caused by plant arriving and working on site is avoided. The applications of rope access are almost limitless in engineering, inspection, building maintenance services, coating (painting, cladding etc. ), cleaning, film and photographic work, advertising etc. 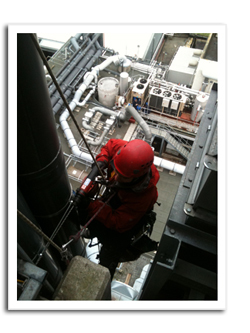 Using industrial abseiling has been a well-tried and safe method of working on a variety of structures, both on and offshore and in confined spaces for the last 20 years. As Rope Access Specialists we can help you with almost anything that involves working at heights through our industrial rope access techniques. 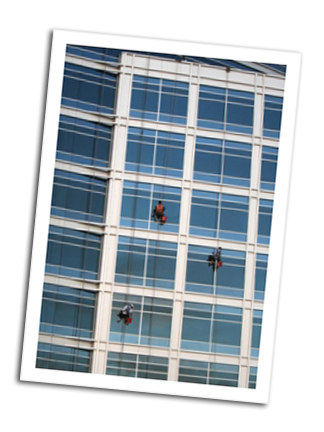 Park Lane will carry out abseiling & rope access work all over the UK and particularly specializes in London, Birmingham, Reading, Bristol, Cardiff, Newport and many other locations. 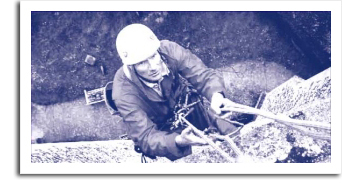 © 2007 Parklane Abseiling Ltd. All rights Reserved.